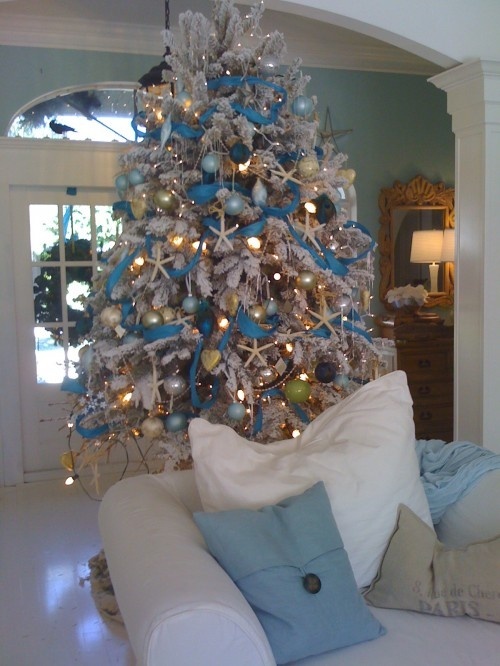 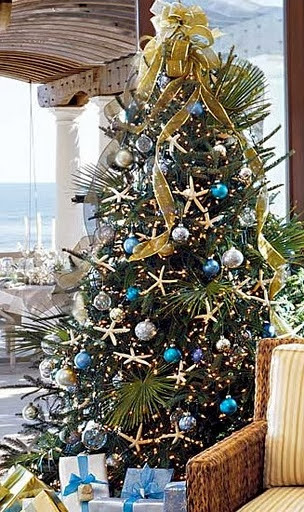 Everything Coastal....: It's a Sea Turquoise Christmas! 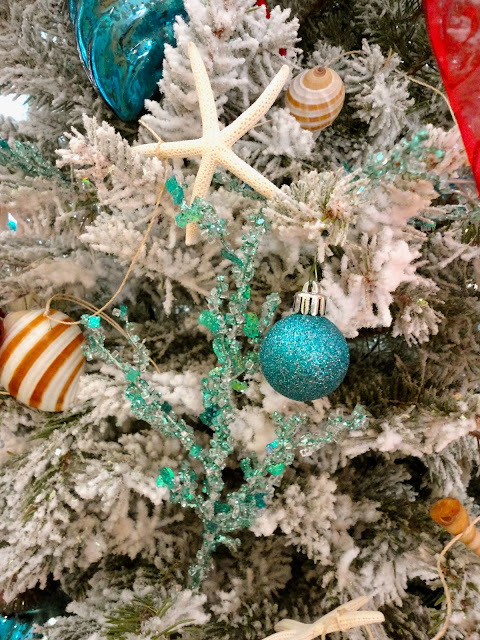 This year, I am promising myself one tree in my house will be decorated with my favorite colors of the sea; aquas, teals, turquoise and blues, bright white shells and sparkling glitter. 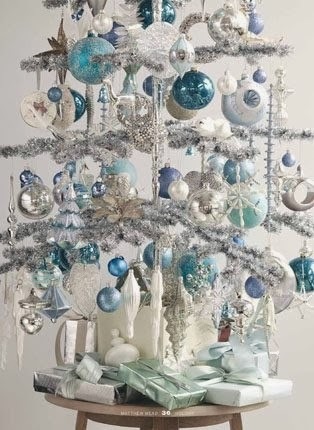 (might be my tiny tree!) 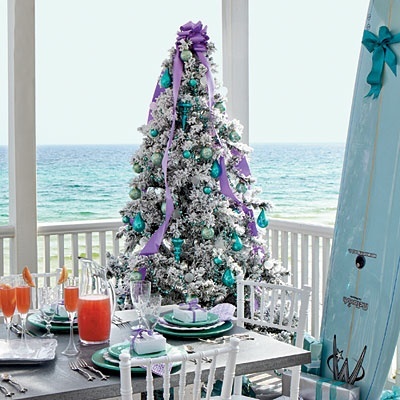 Hope you enjoy some of the inspiration images that I have been collecting on our "Coastal Holidays" board on Pinterest! 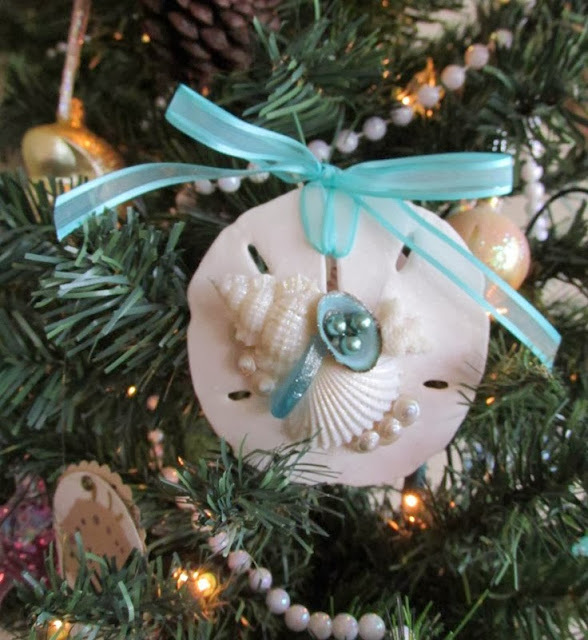 Last years' mini-tree with a lovely gift from my friend Judy. 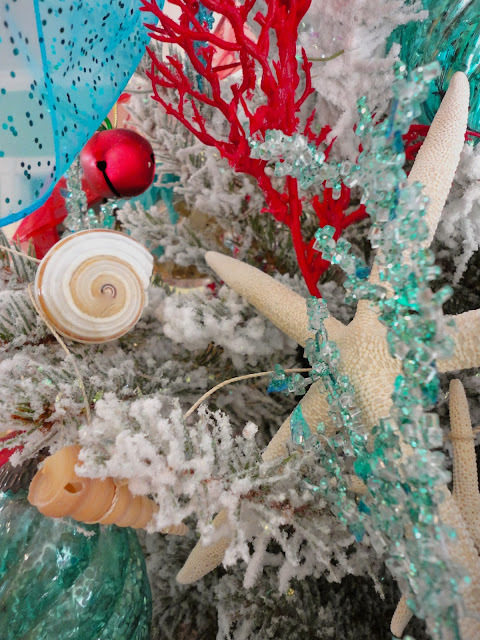 Here's a few ideas to add Sea-Turquoise to your Beachy Holiday!